I would like to inquire about your property Bayut - 781-Ap-R-0075. Please contact me at your earliest convenience. RGS International proudly offer you this Spacious and Cozy 2 Bedroom Apartment in Al Sufouh for 85K AED. - 1 Bathroom and 1 guest washroom. * All photos are for illustration purposes only. * Close to Gems Wellington School & Fraser Suite Hotel & Mall of Emirates. * Al Sufouh contains many new real estate developments and is home to several free economic clusters such as Dubai Knowledge Village and Dubai Internet City. The road is also known as Palace Road by some, by virtue of the lavish properties that line the vast majority of it. At either end, popular spots like the Madinat to the north, and the One And Only Royal Mirage, and The Westin at the south, plus the world famous Barasti. * Easy access to Sheikh Zayed Road & Al Sufouh Road. * Ideal Location for those who are looking for a nice and quiet area and close to the workplace. 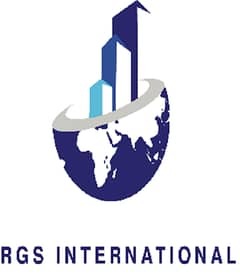 RGS International Real Estate ! !